Foxes dress for winter! It’s true. Maybe they don’t wear any clothes, but red foxes do grow a nice, thick coat of fur to help them prepare for the winter. It also makes them look extra cuddly during those cold months of the year. Of course, your little one might not quite be like a wild fox and they’re probably not going to be a sprouting a thick winter coat any time soon. That means you have to prepare them for the cold and what better way to do it that with a sly fox. 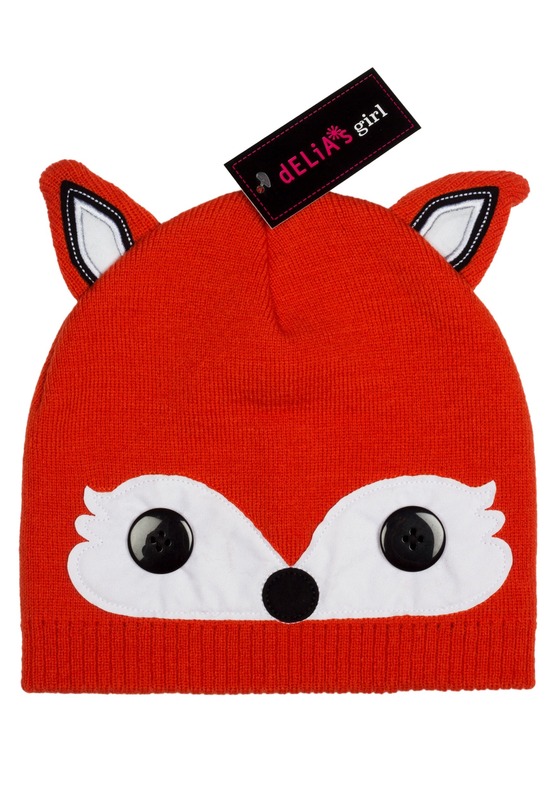 Your little one can keep cozy in this Delia’s Fox Cold Weather Beanie for girls. It’s a winter-style hat that stretches to fit most sizes. It has a pair of pointy little fox ears designed into the top of the hat and a pair of button eyes in the front. Any little girl will like an adorable wild critter when they wear it! It’s important to prepare your young one for the cold weather, just like a real fox does! With this Delia’s brand hat, your girl has a stylish way to stay warm during the winter.